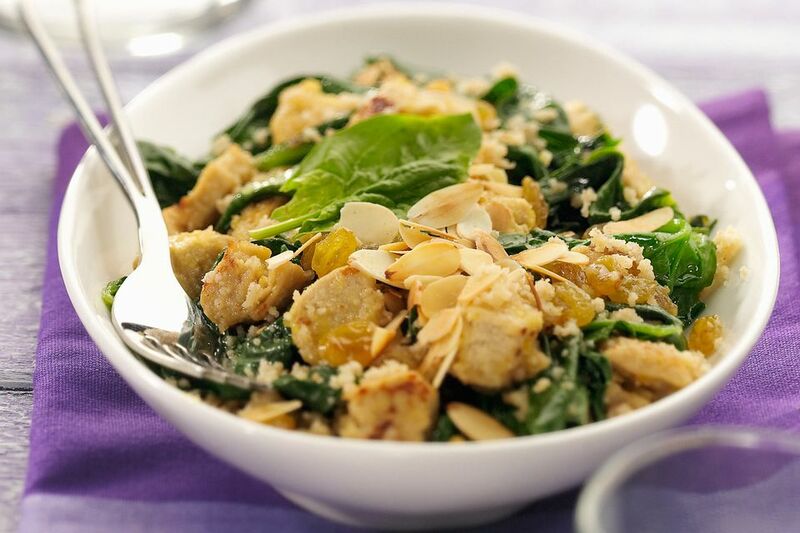 Honey mustard adds flavor to this simple chicken and spinach slow cooker recipe. Serve the dish with rice or baked potatoes for a tasty family dinner. Grease the crockery insert of the slow cooker or spray with nonstick cooking spray. Rub the chicken with the honey mustard; sprinkle with salt and pepper. Arrange the chicken breasts in the crockery insert of the slow cooker. Top with spinach. If your slow cooker is too small for all of the spinach, steam it briefly and add the wilted spinach leaves. Dot spinach with butter and sprinkle with more salt and pepper. Garnish with cilantro or parsley or sprinkle with toasted almonds before serving, if desired. To toast almonds, add to a dry skillet over medium heat. Cook, constantly stirring, until lightly browned and aromatic.